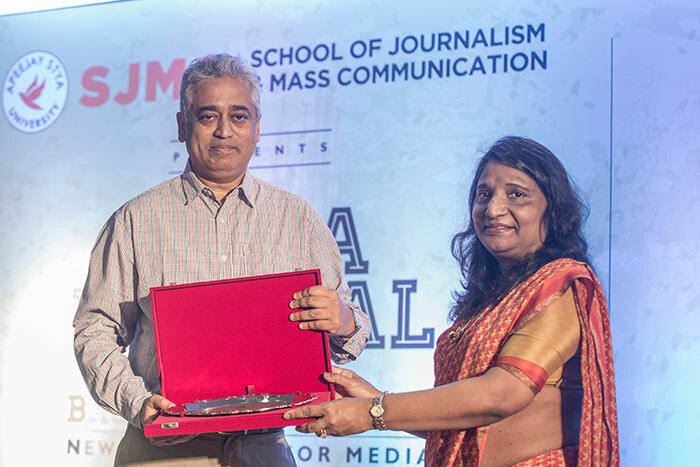 New Delhi & Gurugram, April 17, 2018: The Annual Media Festival titled ‘Back to the Future’, organised by the School of Journalism and Mass Communication, ASU, concluded on a high note. The highlight of the Festival was the challenges facing media and how, through interventions, media could reclaim its lost ground. The festival brought under one roof, media students, renowned media professionals and political parties’ spokespersons. The proliferation of social media, its misuse and the subsequent rise of fake news & the perils associated with it as well as the fact that mainstream media itself is going through a crisis were all highlighted during the course of the Festival. 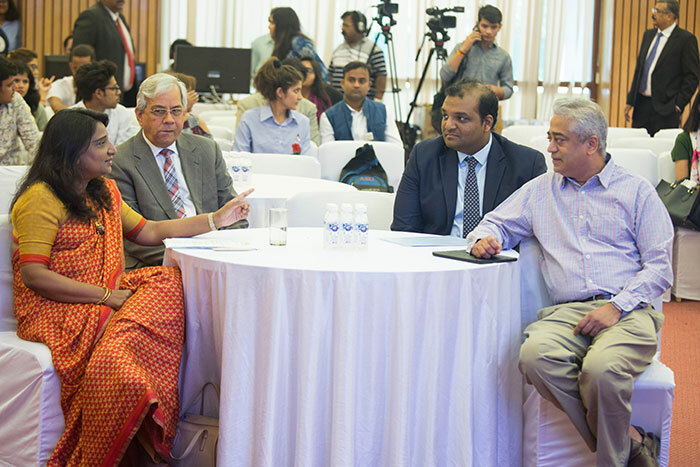 The event was declared open by from the Chancellor of the Apeejay Stya University, Mrs. Sushma Paul Berlia. She began by quoting lines by Patanjali, “When you are inspired by some great purpose, some extraordinary projects, your entire thoughts break their bonds and you find yourself in a great new and wonderful world”. The keynote address was given by Mr. Rajdeep Sardesai, Consulting Editor at the India Today Group. He talked about how, today, news had changed from ‘informing’ to ‘viraling’. India, today has over 400 news channels but ‘sense has been replaced by sensation’. Quantity is not quality and the news is being sold like movies. Social media is selling news like an echo chamber that could be actually propaganda of a party. To address the problems, he suggested remedial measures as well. This session was followed by a panel discussion on the topic on ’Does Media in India need a surgical strike to get back on track?’ Moderated by Ms Pamela Philipose, Public Editor at The Wire, along with, Editor-in-chief at The Citizen, Ms Seema Mustafa, Ms Rohini Singh from The Wire, Editor-in-Chief at India News, Mr Deepak Chaurasia and Mr Ravish Kumar, Senior Executive Editor, NDTV. This was followed by a talk by Mr Raj Chengappa, Editorial Director at India Today Group, on the topic ‘Vision 2020: Reclaiming the Fourth Estate’. The Festival concluded with a panel discussion on ‘Social Media: The New weapon of Politics’, moderated by Ms Nidhi Razdan, Anchor and Executive Editor at NDTV, Spokesperson of Aam Aadmi Party, Mr Ashutosh and Mr Jaiveer Shergill, Spokesperson, Indian National Congress took part in this discussion. The festival ended with all participants supporting the fact that media is changing and facing new challenges but there is still hope. A journalist can still raise his voice and use social media platforms to effect change and in doing so they can still bring change & reestablish the influence of the fourth estate.